Platelet Rich Plasma (PRP) treatment, a blood plasma injection with the patient’s own blood, is being considered a new alternative to knee surgery for senior citizens who take longer to recover from operations. 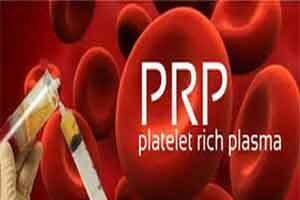 “Treatment with PRP is useful in improving pain, stiffness and function. The recent example is a 70-year-old patient who was suggested knee surgery but was reluctant following the late recovery at such age. So we suggested PRP injection. The patient now has completely recovered,” said Pradeep Moonot, orthopaedic surgeon at Breach Candy Super Specialty Hospital in Mumbai. “PRP, unlike the synthetic injections, is a biological injection which is produced from patient’s own blood. “It’s a simple process where we take patient’s blood, and spin it down, concentrate the platelets, and inject it back into their knee with their own platelets in a concentrated form. This activates growth factors and stem cells to help repair the tissue, decrease inflammation and thereby reducing the osteoarthritic symptoms,” said Moonot. “Since it is a biological injection, like mentioned earlier, its impact may vary from patient to patient. There are various studies which show that in at least 73 percent of cases, there were clinical and functional benefits and no progression of arthritis up to one year,” he said.